We're all familiar with the stereotype of the struggling actor who waits tables between dashing to auditions, scraping by while waiting for a big break. While that may be a rite of passage for many would-be Hollywood stars, plenty of others walked into their first casting office with a major leg up — at least in terms of a financial safety net. 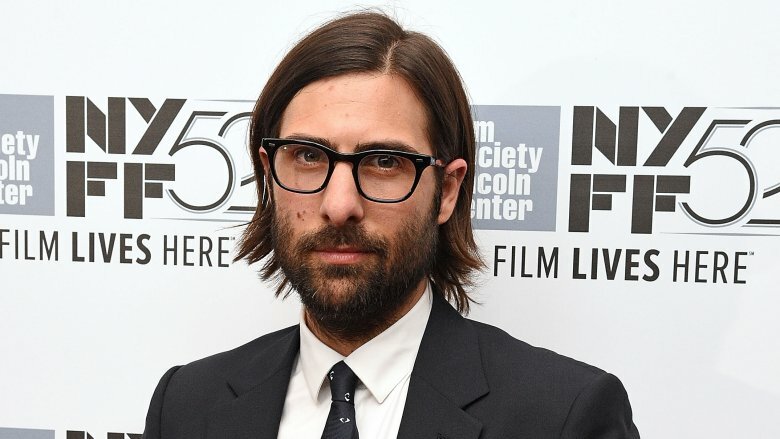 He grew up dreaming of a career in music, but Rushmore and Bored to Death star Jason Schwartzman has Hollywood in his blood. He's the son of Talia Rose Coppola, who starred as Adrian in the Rocky movies and as Connie Corleone in The Godfather, and Schwartzman's mom isn't the only famous name in his family tree. He's also the nephew of iconic director Francis Ford Coppola and the cousin of Acadeny Award-winning actor Nicolas Cage. 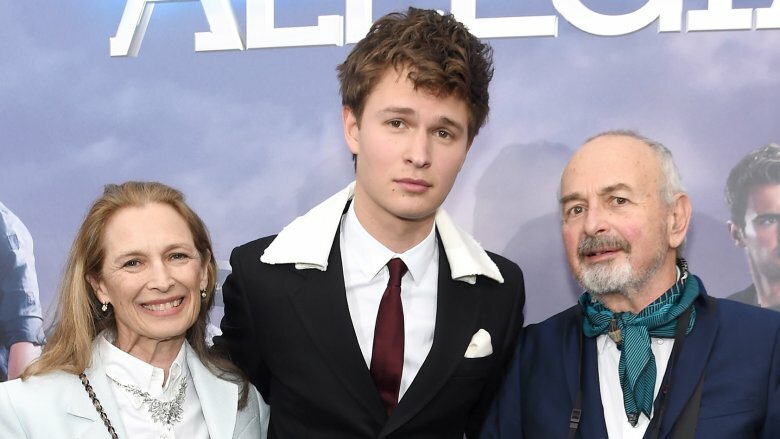 In fact, Schwartzman's entire acting career is the byproduct of a fluke encounter with the casting director for Rushmore, who just so happened to be attending a "hybrid party/family occasion" in honor of his composer grandfather. After initially turning down her offer to audition for the part, Schwartzman relented and gave her his address to mail him the script. "It was the first script for a movie I had ever read," Schwartzman told Paper Magazine. "And I went in and auditioned for Wes [Anderson] and I got a callback and another callback and I got the part." 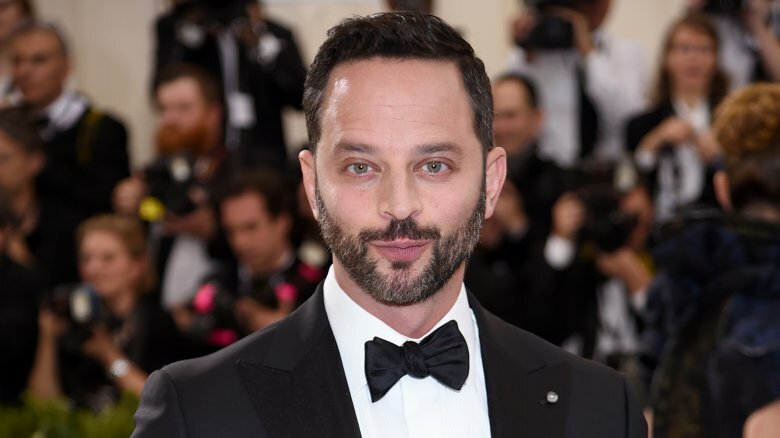 Star of the Kroll Show and one of many funny people on The League, Nick Kroll grew up in an affluent area of Westchester, N.Y. and is the son of Jules B. Kroll, the founder of the multi-million dollar corporate investigations company Kroll, Inc. The company's big claim to fame, according to Vanity Fair, was that it "helped the Kuwaiti government locate Saddam Hussein's secret assets." Kroll insists he didn't grow up like the arrogant rich folk he so excellently parodies on the Kroll Show, like his Aspen Bruckenheimer. "We didn't even have our own tennis court growing up!" Kroll joked to Vanity Fair. However, he did relay a story to Forbes about a time when his dad picked him up from school in a limo. "That was not funny at all," Kroll said, "In fact, there was nothing more horrific to me than that. It was embarrassing." Tabloid magnet Lindsay Lohan started on her path to stardom at a young age, modeling and booking acting gigs such as The Parent Trap and Freaky Friday in the mid-to-late '90s, but she had a few advantages from the get-go. According to Biography, her father, Michael, "ran his family's pasta business and worked as an investment banker," while her mother, Dina, "was a Wall Street analyst." Lohan's financier parents also gave her the privilege of growing up in Cold Spring Harbor, N.Y., a wealthy Long Island enclave that as of 2015, boasted a median household income of $157,143 and a median property value of $774,100. At least she didn't squander that kind of wonderful head start, right? Yeah…moving on. Armie Hammer, who starred opposite Henry "Superman" Cavill in The Man from U.N.C.L.E., became famous playing the Winklevoss twins in David Fincher's The Social Network. 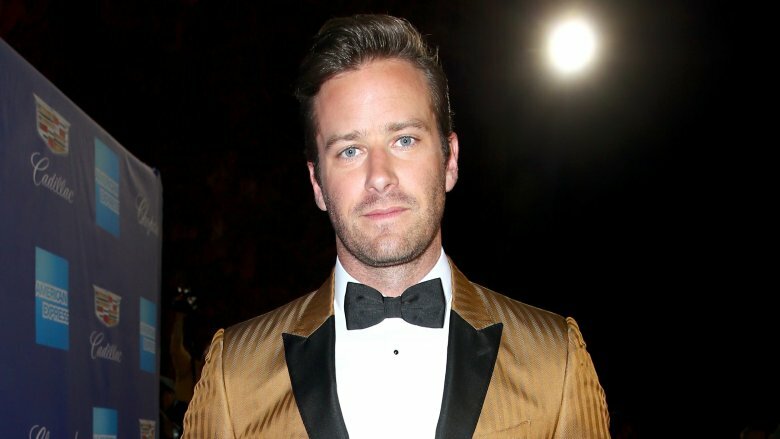 Playing a pair of rich kids probably wasn't too much of a stretch, since Armie is the great-grandson of oil tycoon Armand Hammer. Speaking with Mr. Porter, Armie said he refuses to apologize for his charmed upbringing, which included living in the Cayman Islands. "There is that misconception that, 'Oh, you grew up in a wealthy family so you must have got it easier,'" Armie told the fashion magazine. "I probably had opportunities that other people didn't have. But I guarantee that other people didn't have [parents] beating into their skull that they were the 'representation of the family.' That was not the easiest pill to swallow. People might look at me and think my life is so perfect, but everybody wrestles with the same demons." Funnily enough, Armie's great-great-grandfather, Julius Hammer, reportedly founded New York's Communist Party. The apples fell pretty far from the tree on that one. Seinfeld and Veep star Julia Louis-Dreyfus is one of the best known comedy actresses working today, and she also happens to be the daughter of Gérard Louis-Dreyfus, chairman of Louis Dreyfus Energy Services, whose net worth was estimated to be $3.4 billion as recently as 2006. Her great-great-grandfather, Léopold Louis-Dreyfus, founded the major French commodities trading conglomerate, the Louis Dreyfus Group. But Julia Louis-Dreyfus seemingly couldn't feel more disconnected from those big bucks. "I've been attached to that. It's unbelievable, because whatever I do, people just assume it's true. Welcome to the f**kin' Internet," she said during an interview with Rolling Stone, where she made the distinction that the billion-dollar valuation belonged to her father's company, not the family. At any rate, it's not like she needs any of that dough. At the time of this writing, she can reportedly boast a self-made net worth of $200 million. Both Jake and Maggie Gyllenhaal come from a well-off family in Los Angeles. They're the children of director Stephen Gyllenhaal and Oscar-nominated screenwriter Naomi Achs. While both siblings have enjoyed show business success, they can also trace their roots back to a line of Swedish nobility through their father. For Maggie, growing up alongside her dad on set in Hollywood almost put her off the business entirely until she found her way after a stint with New York academia. "Movie sets work like the army. Everyone has a job. If you're extra, you're in the way," she told The Guardian, explaining why she left Los Angeles at 18 to study English at Columbia University. But don't ask Jake about it. An interviewer with Esquire made the mistake of assuming his childhood was "magical, like it's the Oscars in your kitchen every morning," and the whole interview almost ended. "I had a wonderful upbringing, don't get me wrong," said Jake, whose godmother is Jamie Lee Curtis. "But I don't look at the world through rose-coloured glasses. I wasn't raised to be separate from reality." He also reiterated that his parents were scrappers who had a good run of "two or three" projects that got made at once, "but from then on out, it was just trying to get something made and most of the time not succeeding." Okay, Jake, we get it. Your childhood that also included Paul Newman taking you racing at 15 years old was totally typical. Kate and Rooney Mara are members of the young Hollywood elite, with a long list of major movie credits between them. Rooney was seen in the American version of The Girl with the Dragon Tattoo and Pan, among others, while Kate's fast-growing filmography includes Fantastic Four, The Martian, and the Netflix series, House of Cards. Before they stepped into the spotlight on their own, however, they were raised among football royalty. The Mara sisters grew up in Westchester, N.Y., and their paternal grandfather, Tim Mara, founded the New York Giants NFL franchise in 1925 (their uncle, John Mara, is the current co-owner of the team.) Meanwhile, their maternal grandfather, Art Rooney, founded the Pittsburgh Steelers in 1933. The Rooney sisters are not fans of the silver spoon characterization. While Kate can at least admit that she enjoys "going to games and sitting in the family box," Rooney would like the world to know that they did not grow up like the Kardashians. Speaking with Elle, she said, "People think that I grew up going to Barneys for my back-to-school clothes. I went to the Gap. We lived in a nice house on a cul-de-sac, but it wasn't a mansion. We didn't have a butler or a maid." Like so many successful actors, Gwyneth Paltrow was born to a Hollywood power couple. Her mother is actress Blythe Danner, who's booked countless film and TV roles over the last several decades, most notably opposite Robert De Niro in the Meet the Parents films. Her father, Bruce Paltrow, was a successful TV producer, who made his name on shows like St. Elsewhere. Gwyneth, who has since become the epitome of privileged excess with the creation of her outrageous lifestyle brand, GOOP, once tried to eschew her Tinseltown upbringing as your standard childhood fare. She even threw in the old "struggling actress" cliché to boot. Speaking with CNBC, she said, "I remember when I got this apartment with a roommate and I was a hostess in a restaurant and I was auditioning. It was right when Starbucks came out, and I was obsessed with Starbucks, and I remember one morning looking under the sofa for quarters to buy a Starbucks." If you're thinking to yourself right now that no normal persons says "buy a Starbucks" when referring to the purchase of a cup of coffee, consider this: At literally any time in her life, Gwyneth probably had enough money laying around in her furniture to buy an entire Starbucks franchise, which is what we assume she actually meant. 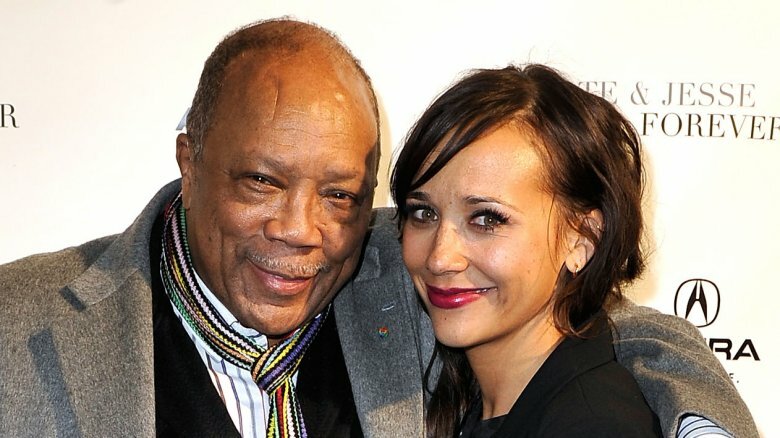 Rashida Jones is yet another product of high-profile show business coupling. Her father is Quincy Jones, and he's the reason you like old Michael Jackson songs so much, since he produced a run of ridiculously catchy and successful albums for the King of Pop. Her mother, Peggy Lipton, appeared in movies and television for four decades, including The Mod Squad and Twin Peaks. Unlike several others on this list — *cough* Jake Gyllenhall *cough* — Jones has no problem recounting tales of growing up in every aspiring actor's fantasy. In an essay for Los Angeles Magazine, she writes that she fondly remembers being "in the studio with Michael Jackson and his various animals," and "visiting my grandparents on Broad Beach in Malibu." That was all before she jetted off to Harvard to study law, then realized after becoming disillusioned with the verdict in her former neighbor O.J. Simpson's murder trial, that performing was her true, "genetically-programmed" love. Now, that's a refreshing embrace of one's truly charmed life. Oscar-nominated actor Paul Giamatti had a pretty cushy life growing up, all thanks to his father, A. Bartlett Giamatti. Bartlett spent years teaching at Yale before eventually serving as president of the esteemed university for nearly 10 years. After Yale, papa Giamatti set his sights on baseball and became president of the National League and then Commissioner of Major League Baseball. 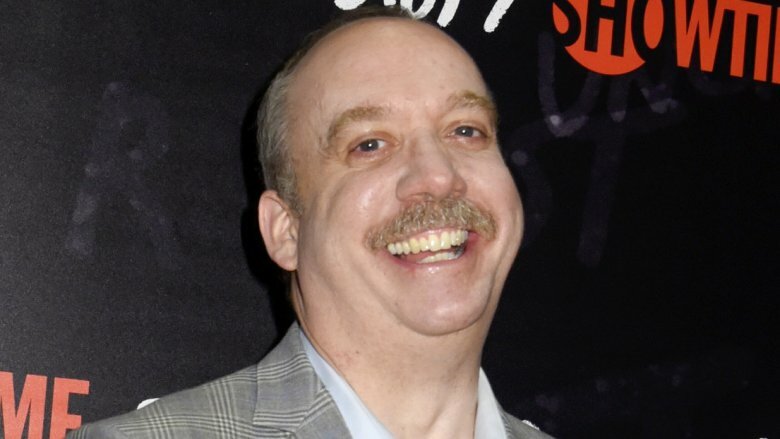 With all that in mind, it's no wonder his son got the lead role on a show called Billions. Speaking to The Guardian, Paul described his family as having been "comfortably middle class," although a quick Google search reveals that in 2014, then-MLB-commissioner, Bud Selig, was making $22 million per year. Granted, that's long after Giamatti's father's death in 1989, but we can't imagine the position has gone from a "middle class" wage to that startling salary in just a few decades. 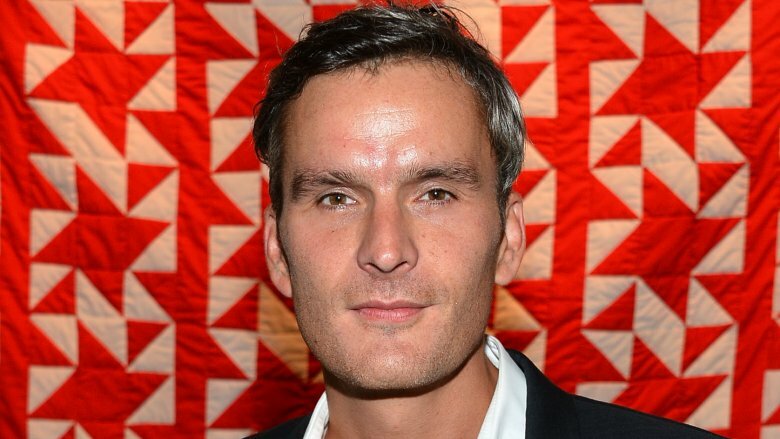 Brothers and Sisters star Balthazar Getty was born into one of the wealthiest families in the world. His great-grandfather, J. Paul Getty, was the founder of Getty Oil, which eventually earned him billions of dollars. According to J. Paul Getty's 1976 obituary in The New York Times, his exact fortune was hard to pin down, but two years prior to his death, he was reportedly worth between $2 billion and $4 billion. But Balthazar had to wait for his inheritance, which is now pegged at around $200 million. According to an interview with the Evening Standard, "his grandparents released nothing to his father or mother," which resulted in him growing up "in a simple two-room rented apartment in San Francisco" and "a tepee in a Zen centre." Don't feel too bad. Balthazar has since embraced his rich roots. "I don't see it any more as something I have to run from, or prove to people that I'm not who they might perceive me to be. I've been able to own that and feel good about it," he said. He even revealed that he'd recently purchased his first "f**k you car," a Porsche turbo, as part of his new "not giving a damn" about being a rich guy attitude. Glad that all worked out for him. Ansel Elgort, star of Baby Driver and the Divergent series, grew up in the upper-class world of New York City. According to Time, His parents were famous in the arts community, particularly his fashion-photographer father, Arthur Elgort, who has spent decades shooting for high-end publications such as Vogue. His mother, Grethe Barrett Holby, has enjoyed a successful career as a director of opera. In a family profile for Town & Country, Elgort's fame was described as something of a foregone conclusion. He was a born performer and a natural in front of his father's lens, although his parents' wealth and influence certainly helped things along. His mother tricked him into auditioning for the School of American Ballet when he was just 9-years-old, and when he was in fifth grade, she reportedly yanked him out of "the fancy Manhattan prep school" he attended when he failed to land the part he wanted in the school play. By the time he graduated from La Guardia High School for the Arts — the school made famous by the movie Fame – he'd already landed his first professional acting gig in an off-Broadway play, which in turn caught the eye of a casting agent who recruited him to audition (successfully) for the 2013 Carrie reboot. Like we said, being talented helps, and having rich, famous parents makes it even better. And speaking of the New York City arts world: Lena Dunham may have played a twenty-something struggling to make ends meet on Girls, but in real life, things were much easier. 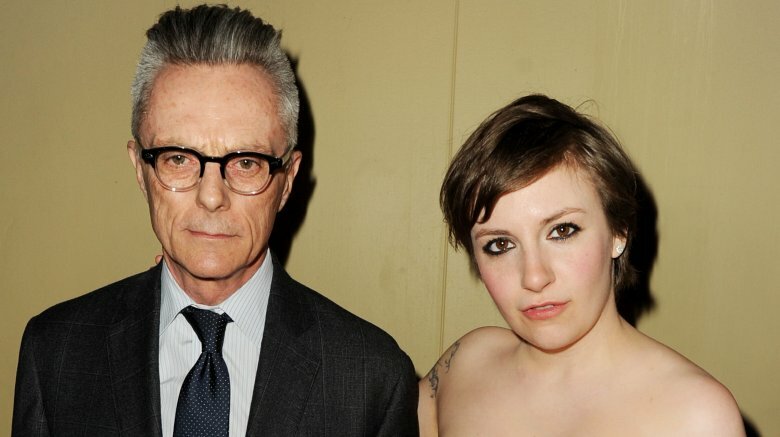 That's all thanks to her super-successful parents, Carroll Dunham and Laurie Simmons, both of whom are famous artists. Lena's father, Carroll, is a painter who's had his work featured in high-profile museums, including New York's Museum of Modern Art and the Art Institute of Chicago. Laurie is a photographer and filmmaker whose work has been featured in New York magazine, W magazine, Glamour, and many more prestigious publications. But to hear Dunham describe any parental leg-up she may have had, her folks' success just got her a lot of creative support and a place to crash after college. "No one is going to give you a TV show because of your parents," Dunham told Slate, adding, "It is just not going to happen." Okay, but most kids aren't lucky enough to have their folks bankroll their first indie film to the tune of $65,000, which was the project that caught the eye of said TV executives and led to said show, either. Just saying. As it turns out, most of the cast of Girls had little-to-no money problems growing up. Take Allison Williams, for example. 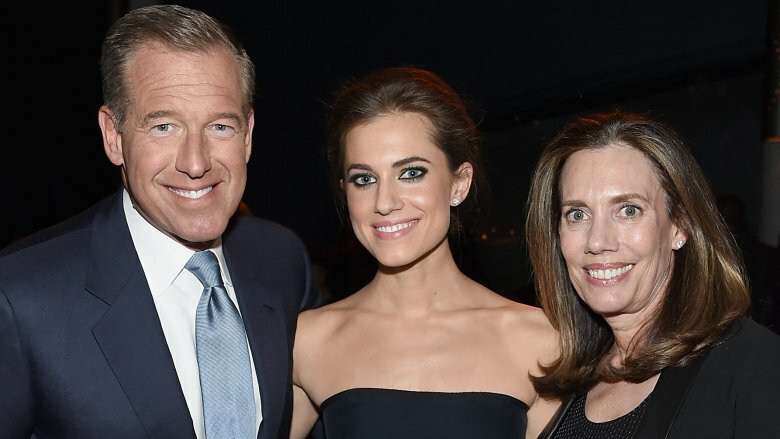 Her father is TV journalist Brian Williams, who for years, enjoyed an insanely successful career as the anchor of NBC Nightly News. His career has since been plagued by scandal, but yeah, he's still got plenty of cash, and certainly did while Allison was growing up. In fact, Allison even acknowledged to the Los Angeles Times that she "100 percent" knew that a big reason she was cast in the 2017 horror flick, Get Out, was because "to some, she's the embodiment of the privileged white girl." While she's aware of where she came from, she's also glad to have carved her own path in the business. "It took years, and a lot of diligence on my part," she said. "But I've formed my own thing, and now I get people who are surprised to find out he's my dad. I dreamed that would happen, and it has: I'm no longer introduced to people as Brian Williams' daughter." 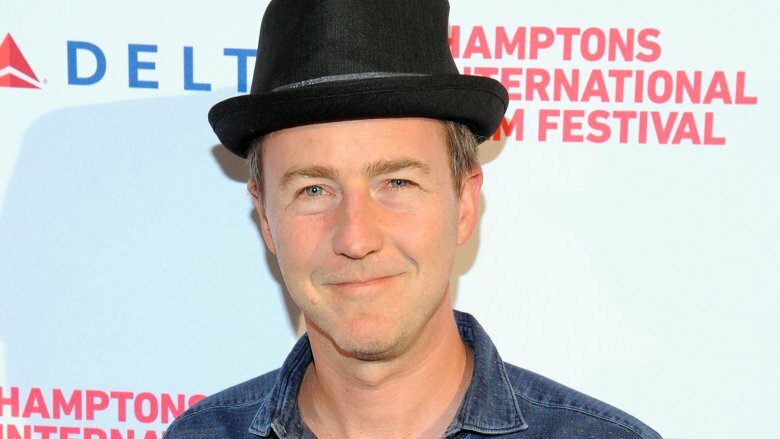 Edward Norton's maternal grandfather, James Rouse, enjoyed an incredibly successful career as a real-estate developer and urban planner, designing everything from new towns to shopping malls. Among his biggest contributions: Faneuil Hall Marketplace, which remains a popular retail space in Boston, and Harborplace in Baltimore, according to People. Asked by CBS in 2006 whether he was ever pressured to go into the family business, Norton said, "No, not in the slightest … My grandfather and my parents are great aficionados of the arts." He also revealed that it was actually his babysitter who encouraged him to go into acting, signing him up at just 5 or 6 years old for acting classes. Hope she got a nice thank you card after Primal Fear debuted. Four-time Oscar nominee Michelle Williams is the daughter of Larry R. Williams, a Montana-born author and financier, who made two unsuccessful bids for the United States Senate in 1972 and 1982. Larry — who now lives in the U.S. Virgin Islands (not bad!) — contemplated a third run for Senate in 2013, but never followed through, according to reports. Just how wealthy Larry actually is isn't a matter of public record. However, The Missoulian reported that the IRS once charged him with "evading payment of $1.5 million in income taxes from 1990 to 2001." That breaks down to more than $136,000/year owed in federal taxes, and it doesn't take a math whiz to figure out that translates to some seriously high earnings. Given her father's lucrative career in radio and television, it's no wonder Sigourney Weaver entered show business. Weaver's dad, Sylvester Laflin "Pat" Weaver, Jr., worked at NBC from 1949 until 1956, serving as president of the network in his final three years. According to his obituary in The New York Times, Pat is credited with creating Today and Tonight and was a champion of the now-famous Meet the Press. Speaking with The Guardian about her famous parentage, Sigourney said she learned "the satisfaction that comes from striving and seeing a dream fulfilled" from observing her dad's work. She also drew inspiration from her mother, English actress Elizabeth Inglis, who "left her family behind" and moved to America to pursue her own dream in the creative arts. Miley Cyrus is the daughter of country music superstar Billy Ray Cyrus, the man behind the fun-to-sing-at-karaoke tune "Achy Breaky Heart." To her credit, Cyrus has worked hard all her life and has since amassed a fortune of her own. Between her days on Hannah Montana and her subsequent career as a hugely successful singer, her net worth today is estimated at $160 million. But she wasn't exactly slumming it when Disney came calling. 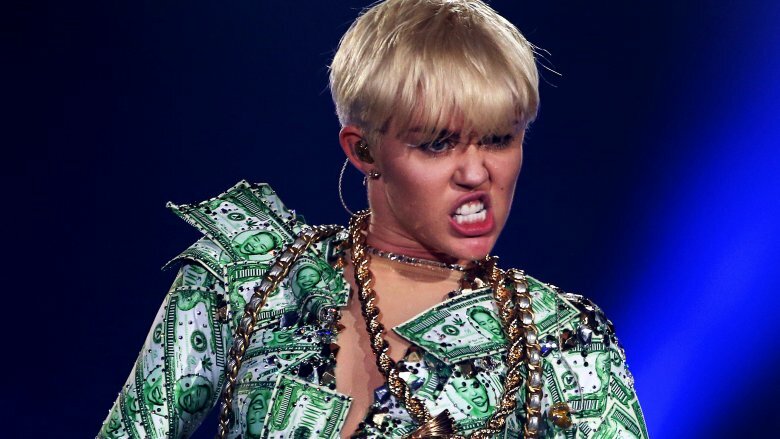 In a 2015 interview with Elle, Miley revealed that she was still living in her childhood home, although her parents and siblings had long since moved out. The Toluca Lake pad is described as a Tuscan-style "sprawling villa" with "cavernous rooms," a "grand piano," and a "filigree iron staircase." In other words, by the time she became Hannah Montana, Miley was already living like Veruca Salt. Darren Criss' breakout role on Glee was the perfect part for the born performer who's proven to be a true triple threat. From the age of 5, Criss has played violin, which led to piano, drums, and guitar. Eventually, he got interested in theater as well, all of which was supported by his parents, neither of whom worked in creative fields. Criss' father was a wealthy banker who actually started and ran his own bank in Hawaii for four years, but he also happened to be a significant arts patron, serving as "a director of the San Francisco Opera, San Francisco Performances, the Stern Grove Festival, and the Philharmonia Baroque Orchestra," according to TeddyWing.com. 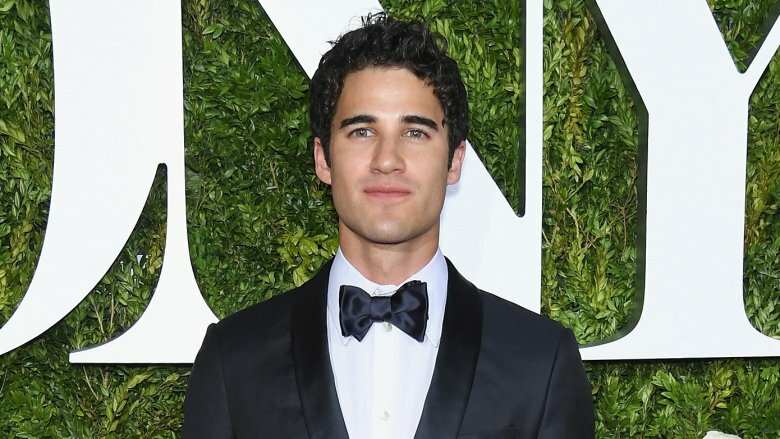 Any chance that had any influence on his son who went on to become a star of one of the most successful musical TV shows of all time, as well as the Broadway smash Hedwig and the Angry Inch, not to mention earn an Emmy nomination for an original song he wrote for Glee? Everyone knows Jennifer Aniston was writing her own checks long before she and the rest of the cast of Friends started famously and historically making $1 million per episode in 2002, but it's no surprise that she was drawn to the business in the first place. 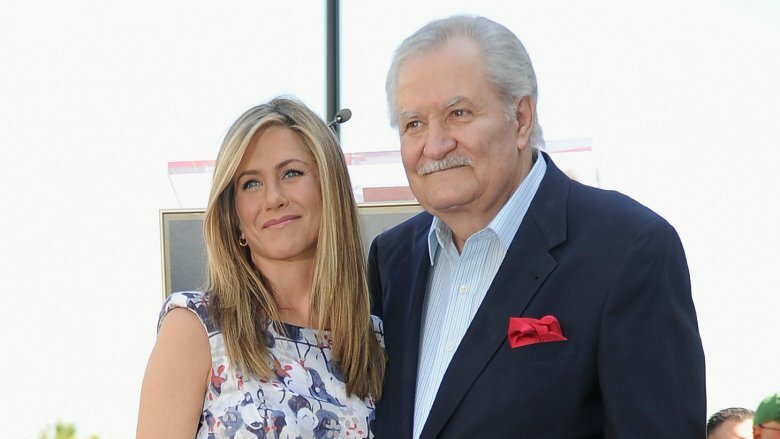 Her father, John Aniston, has been a working actor since the '50s, most notably as villain Victor Kiriakis on the soap opera Days of Our Lives. Her mother, Nancy Dow, also dabbled in the business in the '60s. Unlike the support many others on this list enjoyed from their parents, Jennifer had a bit of a rough ride. Her folks split when she was 9, according to Rolling Stone, at which point she went to live with her mother and had "little contact" with her dad for years. The situation flipped after her mother penned her 1996 memoir, From Mother and Daughter to Friends, which Jennifer perceived as "a betrayal." The rift even resulted in Dow not attending her daughter's wedding to actor Brad Pitt in 2000. The actress reconciled with both parents in later years, although Dow reportedly cut Jennifer out of her will prior to her death in 2016. Something tells us Jennifer — with her net worth as of this writing hanging around $200 million — won't miss that money. Actress Olivia Wilde's stage name may be a nod to the famous writer, Oscar Wilde, but she could have just kept her given surname, Cockburn, and achieved the same thing. That's because her parents are Andrew and Leslie Cockburn, the famed journalist duo whose Vanity Fair article was turned into the the first DreamWorks [Steven Spielberg's company] film, The Peacemaker, according to the Daily Mail. Just how charmed was Wilde's young life? For starters, she describes her childhood home as being "surrounded by artists, journalists, poets." She recalls guests such as Rolling Stones frontman Mick Jagger, author Salman Rushdie, and U.S. diplomat Richard Holbrooke all gracing her family's dinner table. The family even spent summers in Ireland (Wilde's father's native country) when they weren't doing stereotypical wealthy people community service projects, such as going to Fiji and living in a mountain village to build schools. Even before she became a famous actress in her own right, Wilde basically lived the definition of a rich bohemian existence, which she summed up by saying she "can't wait to be an old woman because at the rate I'm going I'll have lived a pretty full life." Like Olivia Wilde, model and actress Cara Delevingne is the progeny of high society folk. According to Vogue, her mother, Pandora Delevingne, was "a London society beauty," who is also the daughter of "Sir Jocelyn Stevens, a publishing magnate, and Jane Sheffield, lady-in-waiting to Princess Margaret." Her father is Charles Delevingne, a successful property developer who raised his three girls in the posh London neighborhood of Belgravia, where the average home prices, as of this writing, are north of 3 million U.S. dollars. "I grew up in the upper class, for sure. My family was kind of about that whole parties–and–horse racing thing," Cara told Vogue, adding, "I can understand it's fun for some. I never enjoyed it." She also revealed that behavioral problems and mental health issues landed her in a couple different fancy boarding schools. She dropped out of the last one. While Cara may not have enjoyed her upper-class upbringing, the boarding school education it provided eventually paved the way for her modeling career, which began at 18-years-old when she was "noticed by an agency executive whose daughter was a schoolmate." Actress and singer Ariana Grande has been earning her own sizable paychecks since she got her big break at just 17-years-old on the Nickelodeon series Victorious, but her interest in the performing arts, which started in community theater and quickly turned into a gig on Broadway, was fostered by the support of her very successful parents. Her mom, Joan Grande, is the CEO of Hose-McCann Communications, which pulls in revenue of $5 to $10 million per year. Father Edward Butera owns his own design firm in Boca Raton, Fla. that boasts design work for brands such as FAO Schwarz and has earned a long list of awards and accolades. Though they split up when she was around 8 years old, the pop star's parents were always receptive to her outgoing ways, according to Billboard. Ariana lived—and constantly performed—in her father's Boca Raton home until she was 13, when she moved to NYC to live with her mother and pursue the aforementioned Broadway opportunity. When that led to her star-making Nickelodeon gig, her mom packed up and moved to Los Angeles to support her daughter's burgeoning entertainment career. That kind of parental flexibility not only takes a tremendous leap of faith, but also requires a nice cushion of expendable cash to make it all happen. 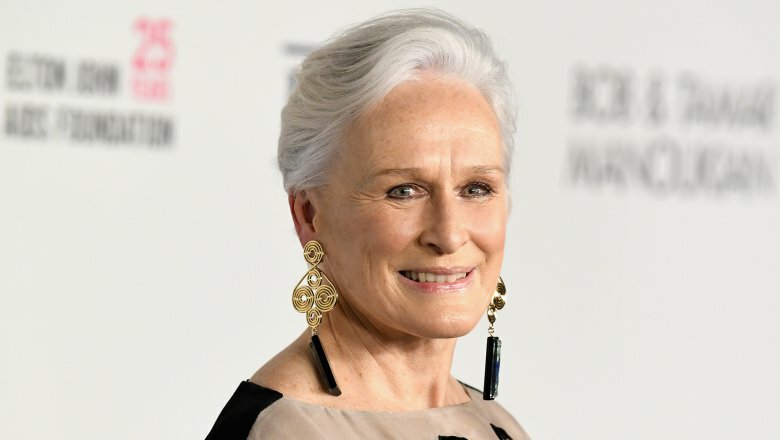 Legendary actress Glenn Close is the daughter of famed physician William Taliaferro Close, whom she told The Hollywood Reporter "spent years in Congo, at one point as Congolese leader Mobutu Sese Seko's personal physician." Though her father's work resulted in Close experiencing a globe-traipsing childhood, including living in "a very glamorous, exclusive hotel" in Switzerland, it also resulted in her being swept into a "right-wing religious cult" called the Moral Re-Armament or MRA. 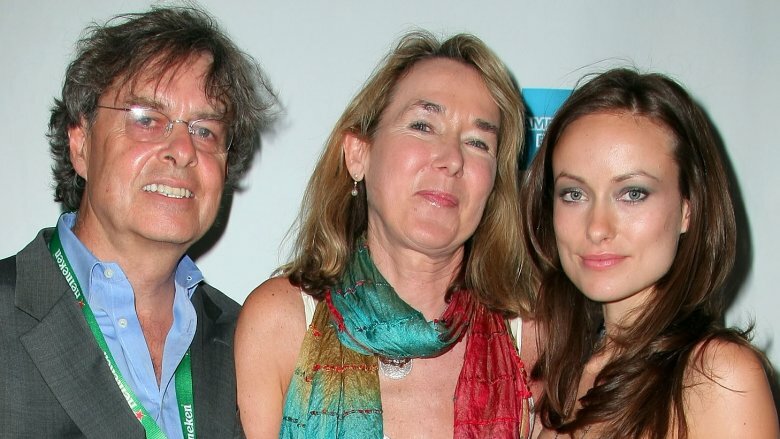 For years, Glenn reportedly maintained ties to the MRA, even after leaving Switzerland to attend "the elite Connecticut boarding school Choate Rosemary Hall" when she was 15 years old. She finally broke free for good at age 22 when she attended the College of William & Mary, the prestigious school described as "public ivy" by Forbes. Stop us if this is starting to sound familiar: two kids whose parents made it in Hollywood followed their natural talents and also became successful in the entertainment business. That was the case with actresses Emily and Zooey and Deschanel, the daughters of renowned cinematographer Caleb Deschanel and Twin Peaks actress Mary Jo Deschanel. Speaking with The Hollywood Reporter, Caleb said his two girls traveled with him on location as much as possible during their formative years, but by the time they were "12 or 13, [they] would get up in front of 2,000 people and not feel nervous." 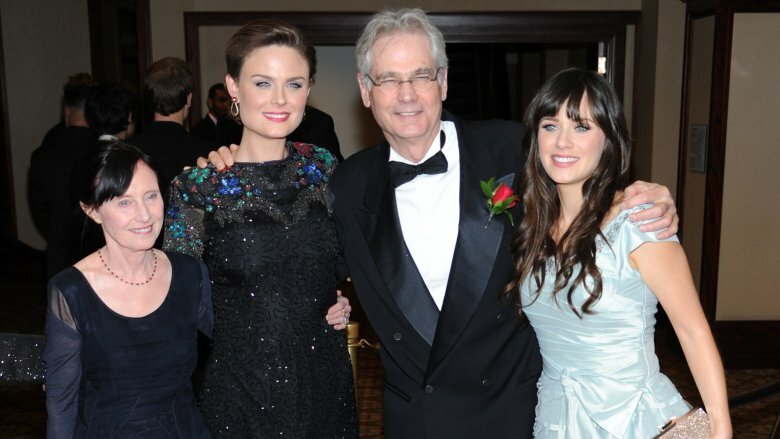 Despite the obvious stars in their daughters' eyes, mom and dad Deschanel made an effort to keep their kids grounded. In an interview with Vulture, Zooey revealed that she had "a strict allowance" and "couldn't drive to the mall until she was 17." She also told The Guardian, "Growing up in Hollywood meant there were a lot of film stars' kids at my school — but no conspicuous wealth. It wasn't cool to show off that you had money." By the time supermodel and actress Kate Upton was 18, she'd already appeared in the Sports Illustrated Swimsuit Issue. The following year, she was on the cover. She parlayed her modeling success into a fledgling acting career, including a pretty sizeable role alongside Cameron Diaz and Leslie Mann in the 2014 comedy The Other Woman. But before she rose to fame in the entertainment ranks, another set of Uptons made a name for themselves: her great-grandfather, Frederick Upton, and his brother, Lou Upton, invented the modern washing machine and subsequently "co-founded the Whirlpool Corporation," according to Vanity Fair. Kate expanded on this amazing family tidbit during an appearance on The Tonight Show, telling host Jimmy Fallon, "[My grandfather] made life a lot easier for a lot of people, especially me." The actress laughed off the idea that she's some kind of "billionaire heiress," telling Vanity Fair, "I wish! It's amazing, and it's definitely a part of our family, but my family doesn't have anything to do with the company anymore." We'll likely never know the extent of how greatly the Whirlpool fortune influenced Kate directly, but we do know this: She's probably never spent a single quarter at a public laundromat. Twilight star Kristen Stewart grew up in Los Angeles, the daughter of TV producer John Stewart and script supervisor and film director Jules Mann-Stewart. The pair raised Kristen and her two siblings in an Alice in Wonderland-themed mansion, which they later listed for sale at $1.75 million. Sounds pretty amazing, right? Well, if you ask Kristen about it, like Elle did in 2012, she would tell you that fairytale life isn't all it's cracked up to be. "You can learn so much from bad things. I feel boring," she said of her "sheltered upbringing," adding, "I feel like, Why is everything so easy for me? I can't wait for something crazy to f**king happen to me. Just life. I want someone to f**k me over! Do you know what I mean?" No, Kristen. No one has any idea what you're talking about.